It's good to be back and I hope the spate of Reviews, up until the end of December, help you to decide on Christmas Presents or offer up great things to utilise your Record Tokens. I know, I know, I meant iTunes or Amazon Vouchers. I've been meaning to tell you about this album for the past few months, but that's nowhere near as long as I've been waiting for this follow up album. 13 years! Count 'em! The comeback was trailed earlier this year with the Great Mind Jedi Trick EP. Six months on and the golddust has arrived. When you've waited so long for a second album, there's a worry that it won't be quite what you hoped it would be. Not a worry in sight. 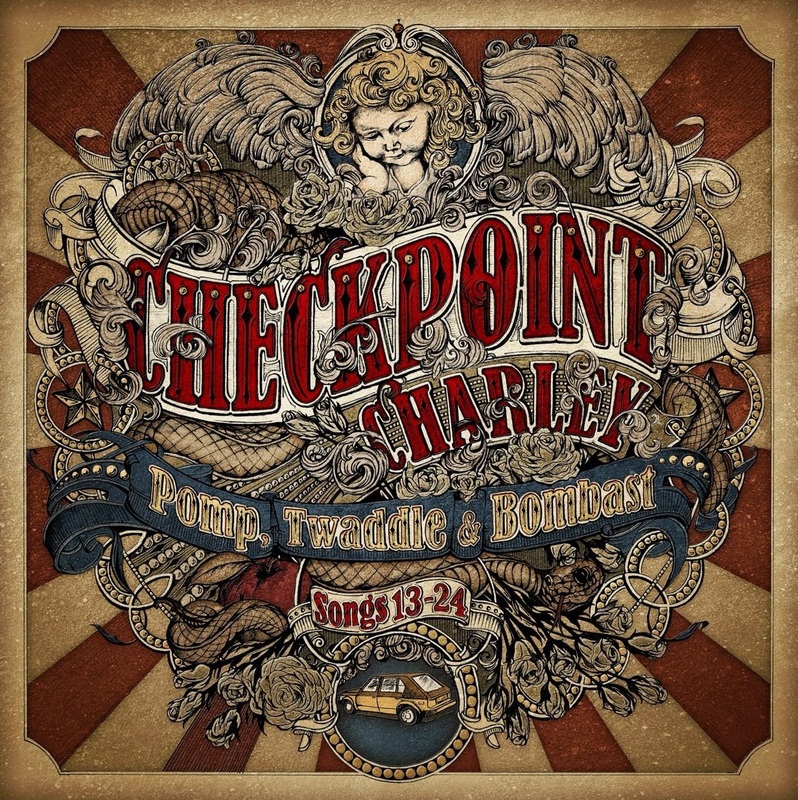 Kevin Packard and Jesse Anderegg, the songwriting duo that are Checkpoint Charley, have fashioned up a fantastic Pop Rock album. Songs 13 - 24 has a firm foot in the Power Pop camp, but the album goes much further than that. Comparisons will be made to Jellyfish, as so many do, but this is closer to the great Pop Rock of the 70's or the poppier end of Brit Pop. Maybe it's more apt to settle on a modern day Badfinger with less songs about love and more hooks. Produced in Nashville with an all-star cast of guest players, there's no let up on the melody from the opening Pure Power Pop of Acting My Age to the closing, Into The Sun, which you can imagine a Boy Band queue wanting to cover it. In between, there are plenty of surprises. Adam And Eve could be Gilbert O'Sullivan, Young And Naive is almost Muse. The slower songs, Tomorrow and Lazy work beautifully. There's a fantastic Steel Guitar twang on 559V, a real singalong strum of a song with a fine lead Guitar, Pilot like , Riff. She's All Mine is The Monkees doing Glam Rock. The two standout songs though are Child's Play and Facing The Music. The former has an almost Christmas like chime amongst the Power Pop charm. The latter is a splendid affair, a real anthem. Lighters out etc. 13 years is a long time to wait, but Pomp, Twaddle And Blast has been well worth the impatience. Those who want the physical product. The CD is available from the band's website here. It is also available from Kool Kat here. A Vinyl Version will be available in January. The album can be heard on all the major streaming sites and samples can be heard here.